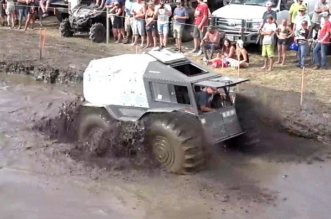 From the true creativity and innovation the minitruckin’ scene has brought to the industry throughout the past few decades to the significant family-style bond that comes from being in the scene even today, one thing is certain: once You’re a mini-trucker, you’ll always be a mini-trucker. Nothing rings more true for Germain Smeyres, who you could say has been a customizer in his own right from a very young age. 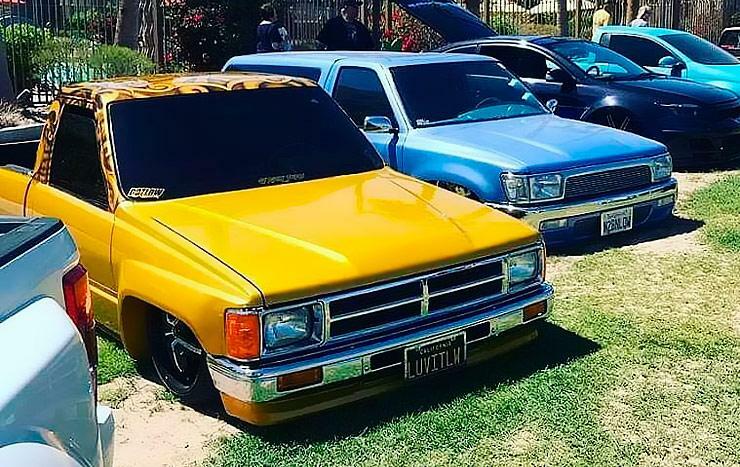 It was with that customization mindset and plenty of skills developed along the way that Smeyres decided to show off his roots through his ultimate mini-truck build in the form of this ’86 Toyota pickup named Goldy Lox. While this Toyota may look like a glorious show-and-shine ride now, it wasn’t always that way. 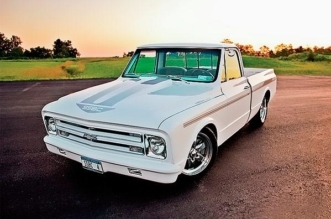 In fact, Smeyres picked up the truck for just $300 back in the day after it had been used as a farm truck for a number of years by one of his shop clients. Once in his hands, the truck quickly changed roles. It was ’bagged, painted and crafted into a sweet shop truck for Smeyres’ business. Unfortunately, he ended up closing shop, but the truck stayed on as a continuous project. After selling his completed Toyota Tacoma awhile back, Smeyres got even more serious about the neglected mini-truck build, adding custom touches all while continuing to use the truck as his daily driver. After 10 years of ownership, Smeyres can now say the little Toyota is the mini-truck he’s always envisioned. 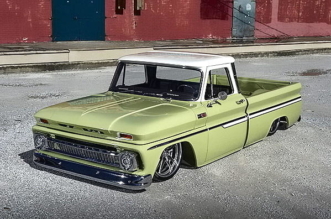 One of the biggest modifications that makes this truck what it is today is the air-ride and body drop, which give it that infamous mini-truck stance. Thanks to airbags, custom ’bag and shock mounts and a 2.5-inch body drop, Smeyres’ Toyota lays flat on the ground, just the way Mother Nature intended. This gives the Jesse James .44 mag wheels and Toyo Proxes tires a nice tucked stance, while maintaining the truck’s overall drivability. 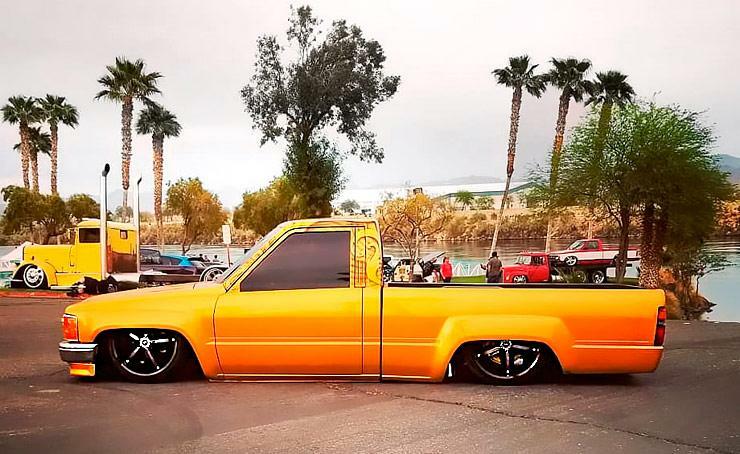 In addition to the super-slammed stance, Smeyres incorporated a few custom body mods to make the truck one-of-a-kind, including a front-end swap from a 1988 Toyota 4Runner with 4WD sheet metal and a Grant Kustoms tailgate skin. You won’t find many bolt-ons here because Smeyres shaved everything from the hood squirters to the antenna. Under the hood, Smeyres’ Toyota sports the original four-cylinder 22R with a few upgrades, such as a K&N intake, 16-inch SPAL cooling fan and a custom exhaust complete with Borla mufflers. 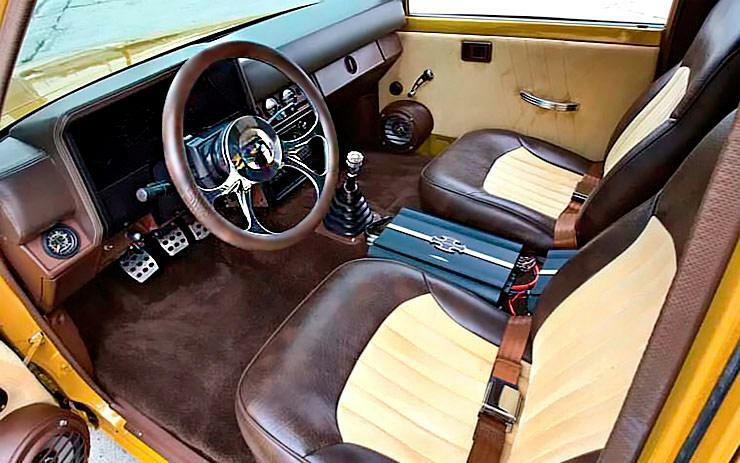 Finished in House of Kolor Solar Gold with a buckskin leather/tan suede interior, the fittingly named Goldy Lox is all around the perfect cruiser, show-goer and classic mini-truck example, proving that it’s still cool to mini-truck!